Tell us a bit about your cycling club and academy? We are based in Midrand and the club was officially launched in January 2016. 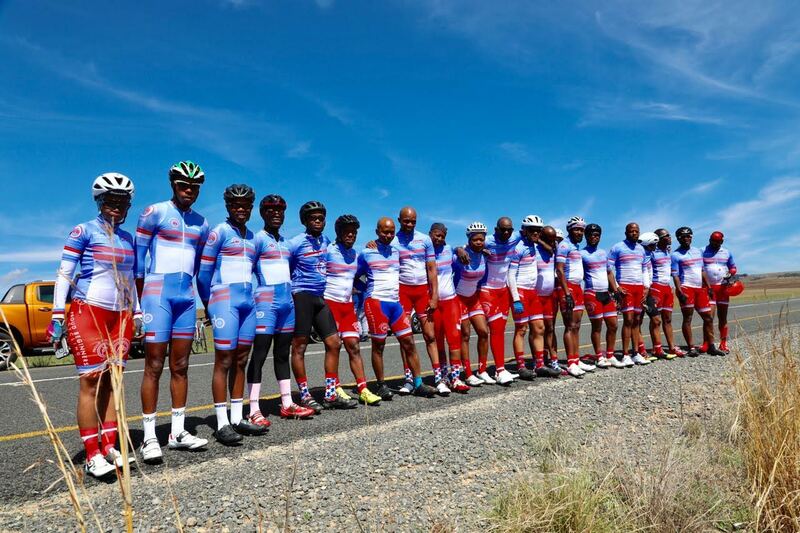 At that time it was more about offering the youngsters an opportunity to race and ride at a higher level of cycling. The club has 70 official members (30 of which is Female), we then also have 30 kids in the club and 8 development riders (our academy). We are a family club, a club which everybody would like to be associated with. What was the motivation behind forming the development academy? The need to improve the healthy living habits of previously disadvantaged individuals, through cycling. As well as the need to see a structure that exist that see more black cyclists come through and prosper in cycling (MTB and Road) and Triathlon. Motivated by this change is what drove us to firstly form a club, and then the development team (sustainable development). How many cyclists currently forms part of your academy? There is currently 8 riders (Male) that are in the academy/development team. They are all from economically disadvantaged backgrounds from the local townships. Sadly most of them also come from single parent or no parent backgrounds. How big is your support team (i.e. coaches etc). We have in the total of 3 support stuff, (Mentor, Team Manager and a Coach – for the kiddies ). What are your goals, needs & challenges that you face? 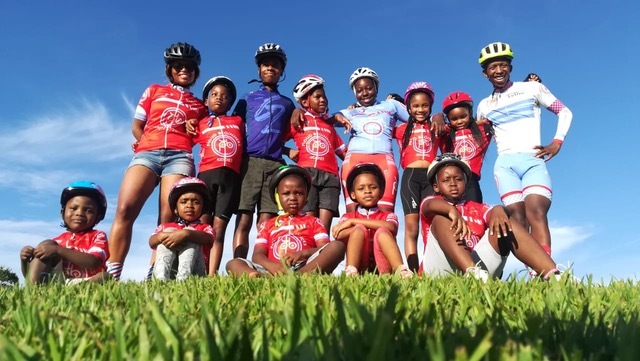 Our greatest goal is to make a sustainable mark in the lives of young people through cycling and healthy living/lifestyle habits. And the challenge is that of making this sustainable development in the young riders in order to keep them part of the academy. Another challenge is their home location vs the race location [and the costs and ability to get to race locations]. It would be great to host some races locally. We have a great need for sponsorships to make the team much more sustainable and competitive. Can you share any success stories of the academy and cyclists? We have Thulas Mxenge who came through the ranks and probably he is our best development rider. He has been invited in 2018/19 to Namibia Tour, Tour of Good Hope and Botswana. He has achieved a number of great results, with more still to come in 2019 and 2020. 2018 Berge en Dale : 9th. 2018 Tour wind hoek : stage 3 : 1st place. 2nd overall green Jersey. Stage 5 : 11th place. 4th overall green Jersey. 2018 Stoneheaven : 4th place. 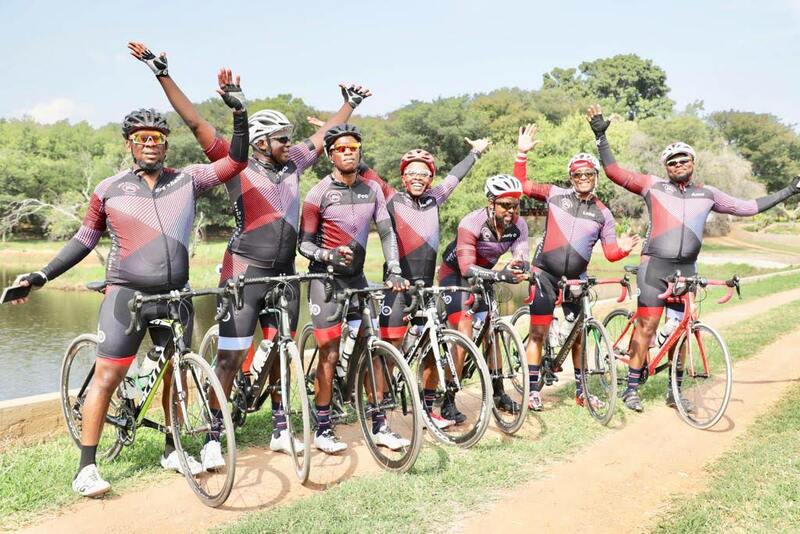 Last year 2018 also saw the development riders (4 of them – Oupa Maluleke, Thulas Mxenge, Isaac Mudau and Thokozani) win the Panorama Tour in Limpopo. At the end of 2018, we also had Oupa Maluleke participate in the SA Track Indoor Champs in Paarl (taking 9th on the Scratch Race, 5th in Time Trial and 5th Overall in Paarl 6). 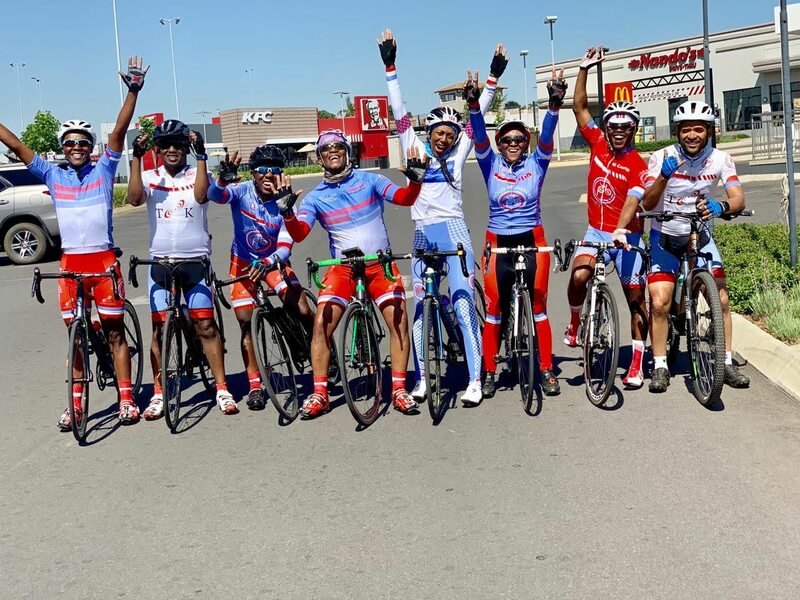 The lifestyle changes in them has been remarkable cause we notice the team cohesion and also sharing of roles in both on the road and off the road. These guys are also family men and responsible for their kids. 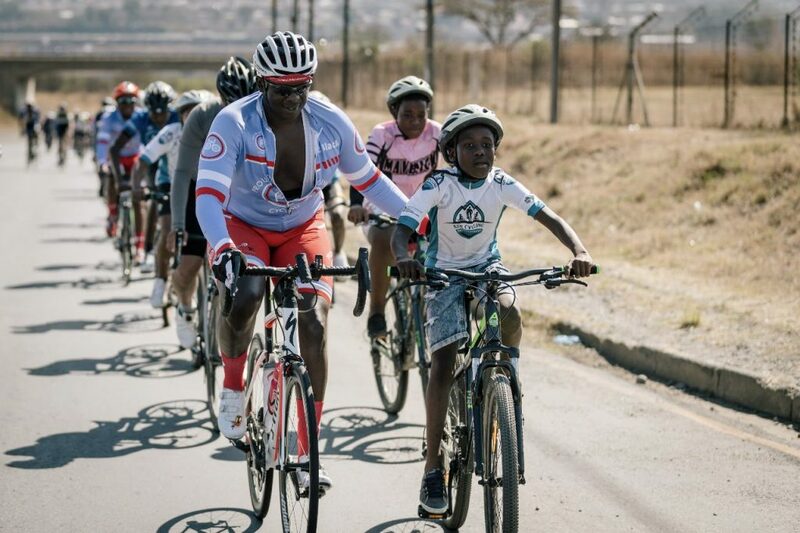 Challenges that came prior to being in the PBC, where family orientated riding and caring is taken very seriously. What are your plans for 2019 and 2020? The plan for 2019/20 is to beef up the Elites side with 3 guys from our Development team together with 3 new recruits who are Elites from outside and make one strong team of 6. This will give the team a better shot at winning and competitiveness. We also wish to improve on the academy and development of the junior riders, from as young as 5 years. For that we meet every second Sunday afternoon with PBC parents to commit our kids into riding an the joy thereof. This we started last year 2018 and have seen 25 kids participate every 2nd Sunday at Waterfall for a 2 hour Sunday fun with parents. We take part in the kiddies competition such as Like2Bike, which is an active event for kids their age. We aim to grow this into more kids, with a kit/uniform already launched, we are on the path to greatness on this front as well. To Make the PBC Charities much more sustainable. We have 3 charities that we support, one is the Bethlehem Child and Welfare (Free State), other Giyani Adult Center (Limpopo) and St Lucia Disability School (KZN), we aim to do better while we foster the partnerships from the communities in which these NGO’s lie. Improve the presence of our team in the MTB Challenges. We have established awareness on the road, but need to grow our presence in the “dark side” (mountain biking). . We already showed up in the Glacier Event in Cradle Traverse, the Attakwa in Oudtshoorn, the Sani Pass Race in KZN. We have our sights set on a number such and similar MTB. We have runners in the club, who will participate in Comrades, as a healthy lifestyle club, we will be launching our PBC running kit in comrades and as well in Two Ocean Marathon. To date we have 15 runners and this number keeps growing. We also have the Triathlon side of the club, to date we have 30 Triathlon participants or enthusiasts, and we have had 4 members participate in the Iron Man 2019 in PE recently. Our aim is to sustain this and ever grow it for some members, a combination of all 3 is more of a super human challenge, one which some members love! Finally we have a solid team of Ladies or as we call it in PBC …PBC Aunties. That will participate in various races as Elite women or Veteran Women. 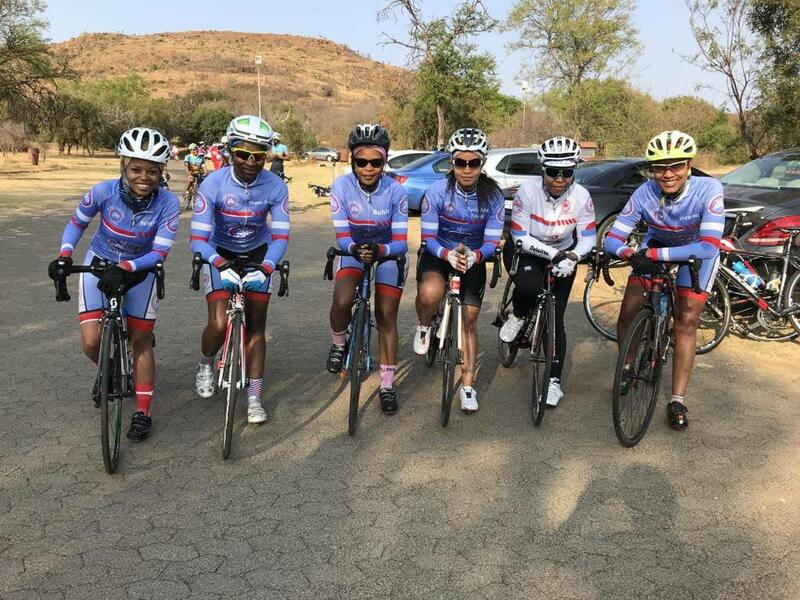 Aspiration is key but its small steps being taken, with the first batch of 12 Ladies having completed Maluti Double 90 of 2019 in Clarens and taking 4th place, we can only be proud and look forward to a better improvement of the debut we made. Development of Women into cycling is key to our plans. Quite an ambitious plan but its one also worth pursuing. What will make the biggest difference to your academy and cycling development in general? A sponsor or even one-off donations will make a huge difference. We are a registered NPO, and the club is self-funding from members and donations from society. Any initiative that we launch or do, is made possible by members having to donate to make initiatives possible. What role is cycling (and your academy) playing in your community? How does the wider community view your academy and the cyclists? A great family club is what we see as outside view, one which caters from the youngest to the oldest. An academy with great ambition and club with great reputation. A team with social charity programs that make for sustainable development in our society. We want to play a role where through cycling many communities can be fed, assisted and given an opportunity of freedom through riding a bike.